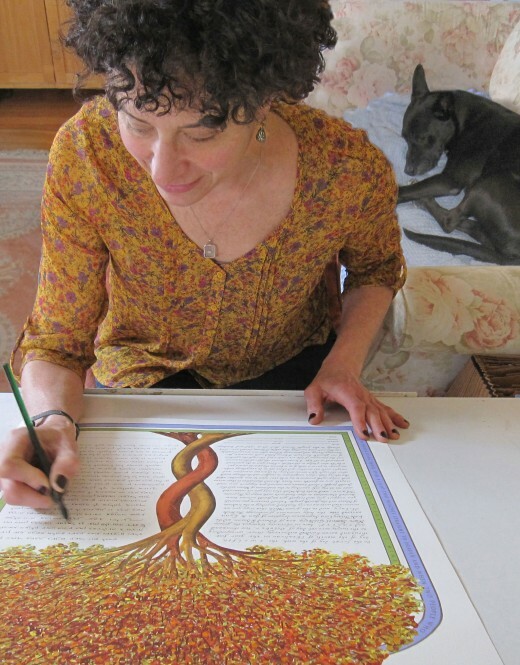 At Custom Ketubah I create art for all marriages, whether it be a Jewish wedding, interfaith, or non-demoninational, or a special anniversary, that reflects what you share as a couple—a special place, personal symbols, your favorite flowers, or even your pets (I love doing dog portraits!). I bring my years of experience as a painter and calligrapher, as well as my wide knowledge of art, to every marriage contract I create. I love playing a part in such a joyful moment in people’s lives. 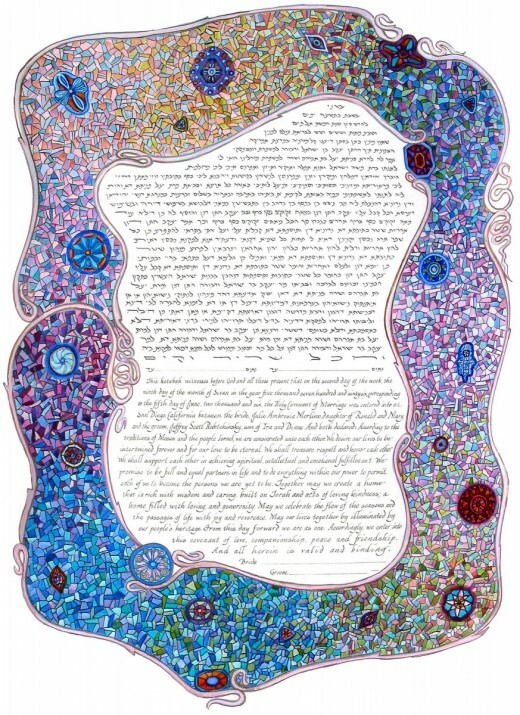 I also offer archival Giclée ketubah prints that are customizable to make them uniquely yours. Tell me your ideas and, together, we can create the perfect ketubah for you! LOOKING FOR A MEANINGFUL GIFT FOR A BAR/BAT MITZVAH OR OTHER CELEBRATION? Browse through “Other Celebrations” for Bar/Bat Mitzvah commemorative prints and one-of-a-kind artwork for a special birthday/anniversary, a baby naming, family tree, or even a pet portrait. You can also see my gallery of appliqué fabric banners and handmade tallitot.